The inaugural meeting of an Australian independent cereal chemists association was 17-19 October, 1951, at the Old Sydney Technical College. Conferences have been held annually to serve the needs of the profession. 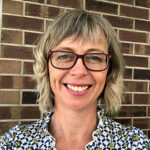 Dr Cassandra Walker is a research scientist with Agriculture Victoria based in Horsham. Her background is in analytical chemistry (Federation University, 1995), and completed her PhD at the University of Melbourne in 2014. Dr Walker plays a key role in the Seed Phenomics and Quality Traits laboratory. Where her main research strength is the development of rapid non-destructive technologies, particularly the application of NIR (Near Infrared Reflectance) to advance agricultural research programs, whether it is assessing grains, plant material or seed. Dr Walker is widely published in the use of rapid technology for breeding selection, and the impact of climate change on grain quality, in particular elevated CO2. 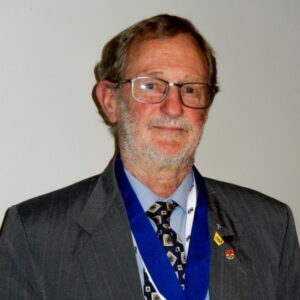 Dr Walker has been a committee member in various roles of both the Royal Australian Chemical Institute – Cereal Chemistry Division and AGSA for nearly 20 years. 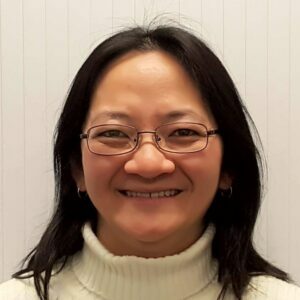 Jennifer Dang has a background in Food Science and Technology (UNSW) and completed a PhD in Agriculture (University of Sydney) in 2004, concentrating on rice chemistry. Jennifer is the Applications Manager at Perten Instruments of Australia, formerly Newport Scientific. Her main roles include managing applications projects for Perten Instrument’s rheological instrumentation, and providing training and support to distributors and customers on applications using those instruments. Troy Adriansz is a Quality Manager in Biosecurity at the Department of Primary Industries and Regional Development in Western Australia. Having graduated with Honours in Biological Sciences he then completed an MBA. 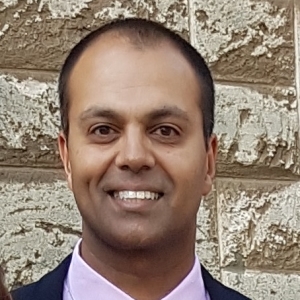 He has experience working in the cereals industry for 18 years, having held research and management positions analysing barley, durum and wheat quality as well as a stint as a lupin chemist in developing lupins further into an established food ingredient. He holds expertise in NIR analysis having developed myriad calibrations over his career and is a recipient of the Australian Near Infrared Spectroscopy Group’s Award for Innovation in NIR Science. Dr Lindsay O’Brien was appointed wheat breeder at the Victorian Crops Research Institute in 1968 and from 1982 to 1988 led the wheat breeding and cereal chemistry programs. From 1988 until 2001 he was Director of the University of Sydney’s I. A. Watson Grains Research Centre in Narrabri. From 1968 to 2001 he was involved with the breeding of 16 wheat varieties. In 2001 he was engaged by LongReach Plant Breeders to design and source the germplasm for their national wheat breeding program which since has developed 27 varieties. Dr O’Brien has published widely on wheat breeding and grain chemistry. 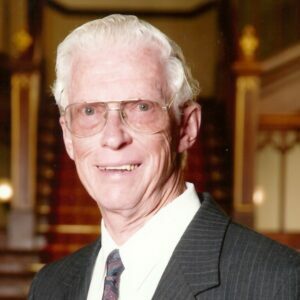 Dr O’Brien was a committee member and past Chairman of the Royal Australian Chemical Institute Cereal Chemistry Division and was awarded the Division’s F B Guthrie Medal for contributions to grain breeding and chemistry in 1997. Dr O’Brien is a founding member of AGSA and is currently the Public Officer for the Association and Chair of the Associations Awards Committee. Dr O’Brien was awarded the Associations Bond Medal in 2016 for contributions to the grains industry and to the Association. Solheimar Pty Ltd and University of Sydney Plant Breeding Institute, Narrabri, NSW. Colin Wrigley was appointed to the CSIRO Wheat Research Unit in 1961 as an Experimental Officer, after gaining an MSc in Biochemistry, University of Sydney. During leave‐of‐absence in 1964‐1966, he obtained a PhD (Agricultural Chemistry, University of Sydney) and spend 1969‐1970 at the University of Manitoba, Canada. Returning to CSIRO, he continued in research on wheat composition and genetics in relation to functional properties, later becoming a Chief Research Scientist and in charge of the laboratory. He retired early (age 59), and continued as a Post‐Retirement Fellow in CSIRO (1997‐1999) and later as a Consultant to the Wheat CRC (in its two versions), working in the CSIRO Food Research laboratories. For the past decade, his research activities have been restricted, being full‐time carer for his wife, Jan, but he has continued with PhD supervision and writing mainly by e‐mail. The recent writing and editing has produced encyclopaedias (two editions, ten years apart), a few books and many book chapters. His publications total over 600 items, including research papers, books, book chapters, patents, etc. Colin Wrigley has held various offices in the Royal Australian Chemical Institute, including Chairman of the Cereal Chemistry Division. He is currently as an Honorary Professor at the University of Queensland.